Scattered across the globe, from Australia to Iceland and Kamchatka to Chile, are almost two thousand unique sites, protected by the provisions of the 40-year-old Ramsar Convention. This intergovernmental treaty, signed in Iran back in February 1971, provided for national and international action to conserve and wisely exploit wetlands and their resources throughout the world. One of the so-called “Ramsar Sites” is an obscure salt lake called Tengiz, located in north-central Kazakhstan. It has an area of almost 540 square miles (1,400 square km), but is extremely shallow—even its deepest spots run to only a few meters. It has been identified as the home of around 300 different species of birds, two dozen of which are classified as endangered. Today, it forms part of the Korgalzhyn Nature Reserve, which was nominated a few years ago as Kazakhstan’s first natural UNESCO World Heritage site. Over the millennia, Tengiz has provided a haven for many creatures. In October 1976, it even offered a temporary home for two travelers from outer space. They were returning with heavy hearts, for it had been their task, just two days earlier, to reinvigorate a home in space which had been abandoned by its previous occupants. 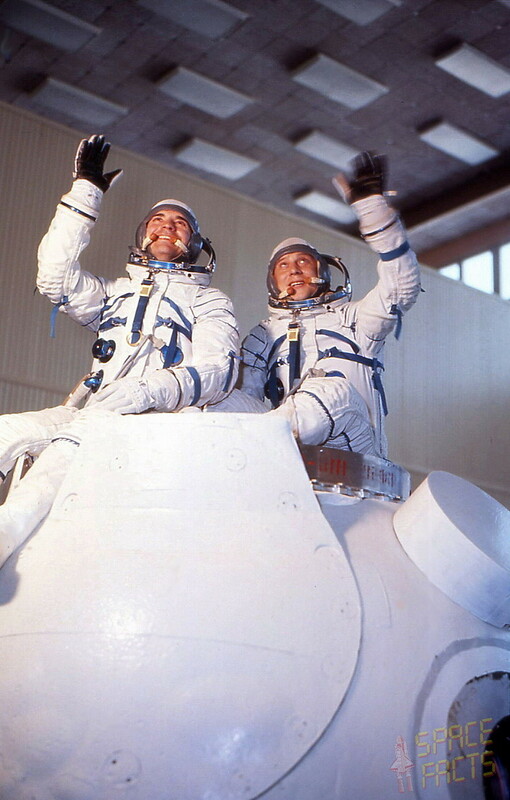 As summer cooled into autumn, very little comment had emerged from behind the Iron Curtain as to precisely why Soyuz 21 cosmonauts Boris Volynov and Vitali Zholobov had returned to Earth so abruptly from the military Salyut 5 space station in August 1976. Even Radio Moscow was caught by surprise when, on the morning of 24 August, they were told that the men would be on the ground in just 10 hours! The landing, which took place in darkness, underlined the need to get them home as quickly as possible. In its summing-up on 4 September, Flight International quoted a Russian daily newspaper, which revealed that psychologists had begun playing music to the crew “to ease the effects of prolonged isolation.” At length, Aviation Week & Space Technology reported that Volynov and Zholobov had evacuated Salyut 5 following the development of an acrid odor in the station’s atmosphere. This suspicion seemed to be vindicated in February 1977, when another crew—that of Soyuz 24—boarded Salyut, vented and replaced its atmosphere…and did so with their faces screened behind the safety of oxygen masks. Commander Vyacheslav Zudov (left) and Flight Engineer Valeri Rozhdestvensky, clad in their pressure suits, are pictured with a Soyuz mockup during training. Photo (Credits: Joachim Becker / SpaceFacts.de). 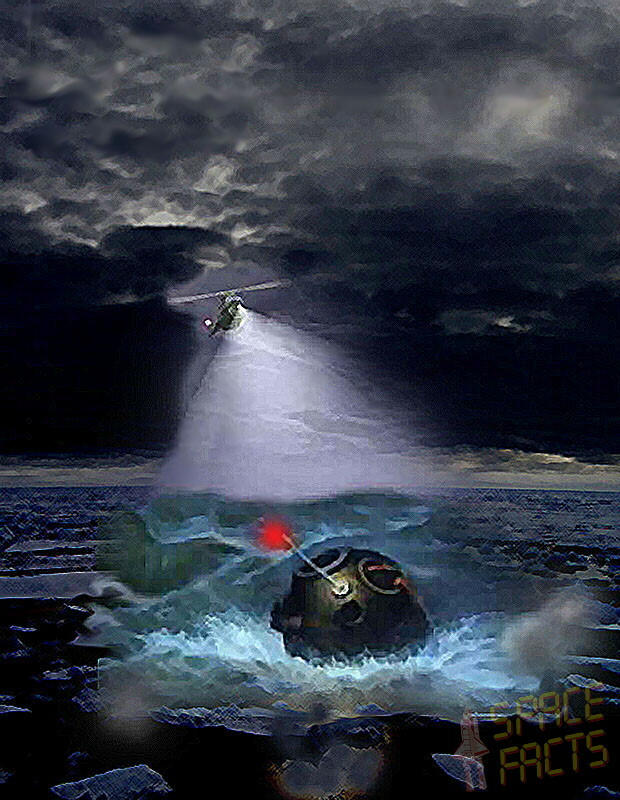 Sandwiched between Volynov’s ill-fated mission and that of Soyuz 24, however, were two other flights, including Soyuz 23, which totally failed to dock with Salyut…but did earn its own place in history as the only time that a Russian cosmonaut team landed in water, rather than on land. Splashing down was, of course, unintentional, but many things occurred during the unlucky voyage of Soyuz 23 which were neither intended nor anticipated. On launch morning, 14 October, little seemed to go well. The bus broke down on the way to the launch pad and then, after an otherwise flawless liftoff at 8:40 p.m. Moscow Time, high winds aloft caused the rocket to veer off-course and the crew narrowly avoided having to execute an abort. They achieved orbital insertion safely—albeit lower than planned—and ultimately established themselves at an altitude of around 168 miles (270 km), preparatory to docking late on the evening of 15 October. Four miles (7 km) from the station, Commander Zudov placed the Soyuz into its automatic rendezvous mode, but shortly afterward reported “strong lateral fluctuations” in his craft. With less than 0.9 miles (1.6 km) to go, he was becoming alarmed, for the fluctuations had now increased to the point at which Soyuz 23 was actually turning away from Salyut 5…even though Zudov’s instruments told him the approach was proceeding normally. At 1,600 feet (500 meters) out, both men could see the target, but instinctively knew that they were still inexplicably turning away from it and were travelling too fast, anyway, for a successful docking to be attempted. At length, the Soyuz ceased its oscillations and Zudov asked to make a second try. However, the lower-than-normal orbital insertion had already required him to expend a significant proportion of his attitude control propellant, and mission controllers knew that sufficient reserves had to be maintained for two attempts at retrofire. – By Ben Evans – Stay tuned for Part 2. This article has been drawn from AT HOME IN SPACE, the third volume of Ben Evans’ six-volume History of Human Space Exploration (1961-2011) series, published by Springer-Praxis.